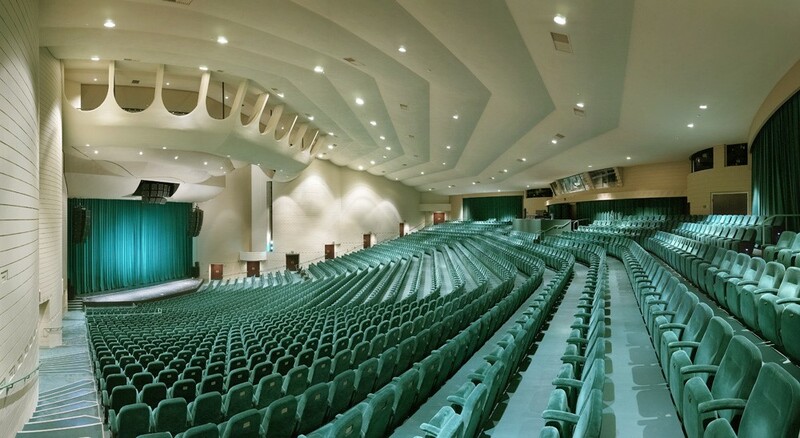 Ruth Eckerd Hall Renovation | RoyalAire Mechanical Services, Inc. This was a full mechanical renovation of the air conditioning system that included new cooling towers and roof top air conditioners and outside air units for the 80,000 square foot venue. The project replaced these systems while the facility was in operation and they experienced no missed events and no loss of cooling. This scope of work also included replacement of grilles in the high ceiling auditorium, fully cleaning of the existing duct system. The project was an AGC Horizon award winner in 2014. The project was designed by H. Patterson Fletcher and Wilson & Girgenti Engineers and was constructed by Creative Contractors, Inc.